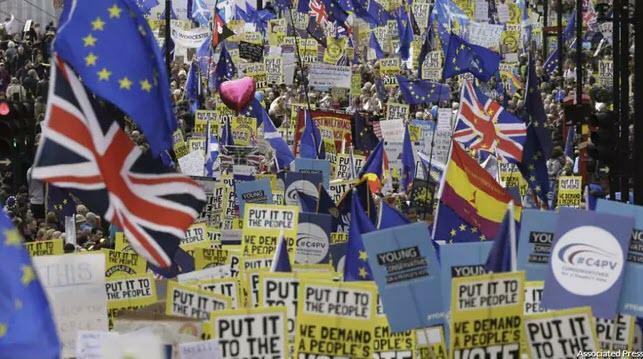 Demonstrators clog the streets of London seeking a "peoples vote". Excuse me for pointing out, the people already voted. Please consider ‘Cancel Brexit’ Petition Tops Record 4 Million Signatures, Crashing Website at Least Twice. 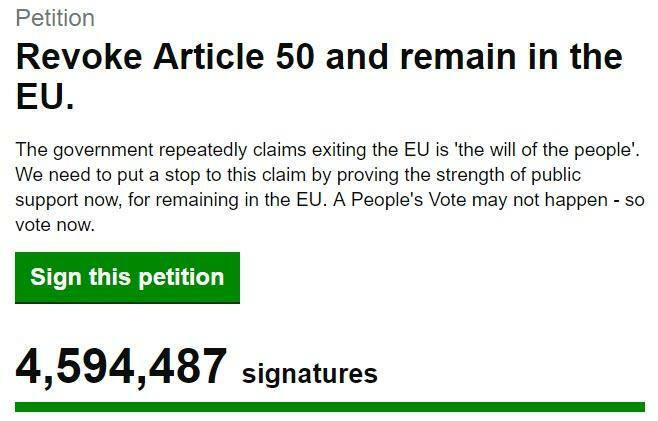 I took that snapshot on the Petition Parliament Site Saturday at 1535ET. The voting page looks like this. I got a valid postal code from London Postal Code. You don't need to enter your address, all you need is a made up name, a valid postal code, and a valid email address. The final step asks you to reply to an email sent to you. If you click on that Email you are signed. Nothing stops one from doing this 10 or even 100 times. I don't know how many petitions are fraudulent, but I I suspect a high percentage of them. But I also suspect that at least 500,000 of them are legitimate. That's way more than enough to trigger debate in Parliament. So there will be debate, useless time-wasting debate at that. Ironically, long debate in Parliament helps the Brexit cause. Those supporting Brexit should hope the pony show discussion lasts a week. The bottom line is the people already had a "Peoples Vote". There won't be another. Neither Labour nor the Tories want another referendum. Theresa May does not want one. A new election could change that but by the time there is an election and a referendum, Brexit will already have happened unless the UK agrees in advance to hold European Parliament elections and the EU is willing to grant an extension on that basis. 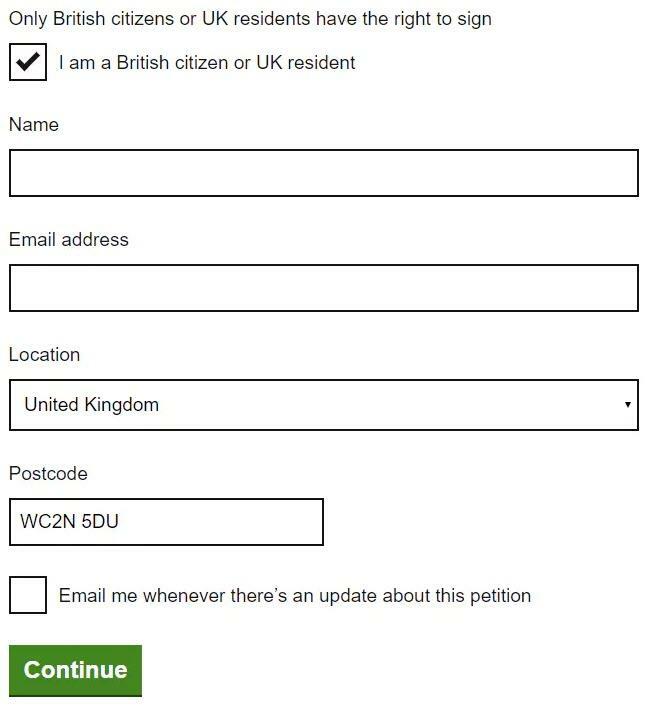 The petition is amusing but it will not change a damn thing.